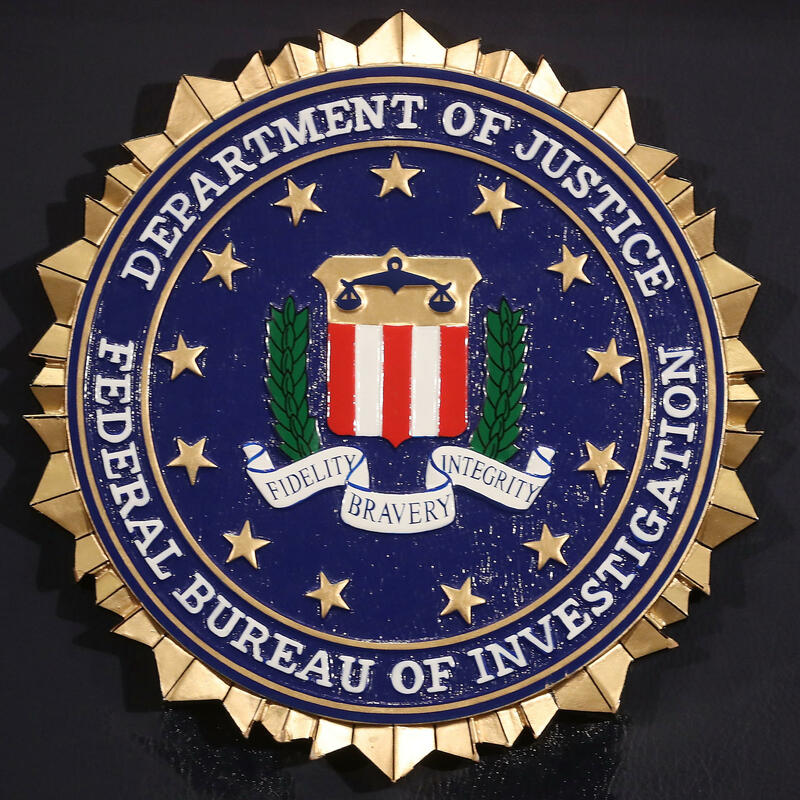 The FBI seal is attached to a podium prior to Director is Christopher A. Wray speaking at a news conference at FBI Headquarters, on June 14, 2018 in Washington, D.C. after the release of an inspector general's report. Peter Strzok served as the deputy assistant director and was a key figure in both of the highly charged investigations. He was removed from special counsel Robert Mueller's team and reassigned to the FBI's human resources department after it was discovered that he had sent anti-Trump texts. Strzok was escorted from the building as part of the bureau's ongoing internal disciplinary process, his lawyer, Aitan Goelman, said in a statement. Goelman did not say when the action was taken against Strzok but, according to media reports, the FBI agent was escorted out Friday. "Pete has steadfastly played by the rules and respected the process, and yet he continues to be the target of unfounded personal attacks, political games and inappropriate information leaks," Goelman also said. "All of this seriously calls into question the impartiality of the disciplinary process, which now appears tainted by political influence." The Justice Department's inspector general, Michael E. Horowitz, sharply criticized Strzok in a report released last week on the FBI's handling of the Clinton email investigation. The IG concluded that the messages Strzok exchanged with FBI lawyer Lisa Page "potentially indicated or created the appearance that investigative decisions were impacted by bias or improper considerations." In one of the most damaging text exchanges documented in the IG report, Page asks Strzok whether Trump is ever going to become president. Strzok replies: "No. No he won't. We'll stop it." The IG says the text suggests not only that Strzok was biased against Trump, but that it also "implies a willingness to take official action to impact the presidential candidate's electoral prospects." Read the report's executive summary here.